There are plenty of good reasons to offer your website in more than one language. Having a multilingual site can create opportunities to reach different clients and markets on a global scale. Unfortunately, WordPress doesn’t offer out-of-the box support for running a bi- or multilingual website. However, there are a number of plugins available to bridge this language barrier. One post per language—Each language version of an article is set up as its own post. These are then linked together, indicating that one is the translation of the other. All translations in one post—All language alternatives are stored and edited in the same place. Automatic translation—Your WordPress site is connected to external translation services—the automatically translated content is then displayed on your site. Editing is optional depending on the plugin. Multisite solution—Language versions are set up as separate WordPress sites, which are linked together with a plugin so visitors can ping back and forth between them. Each one of these methods has its own set of advantages and disadvantages. Let’s take a closer look at them through examples of the respectively best available plugins. WPML is a multilingual plugin for WordPress. It’s designed by the folks over at icanlocalize.com. It’s been around for quite a while, and is well-established in the WordPress community. WPML is a premium plugin, which means it’s not free. But for $29–$79 per year ($195 for the version with lifetime support) it’s definitely a great deal. The cheaper plans include a year of support and updates as well as a reduced renewal fee. WPML translates all content associated with WordPress sites or blogs: posts, pages, post taxonomy, theme strings, and more. The plugin offers support for more than 40 languages. As mentioned, each of them is saved in a separate post or page and then linked together. For snazzy-looking URLs the respective languages can either be arranged in the form of directories or sub-domains of the same web address, or in a completely separate domain. No changes to the database content for posts makes for simple install and uninstall. Robust post and page link structure for clean URLs and links that don’t break. Includes translation for navigation elements (e.g. drop down menus, breadcrumbs trail, sidebar navigation). Other plugins that analyze content, such as related posts, keep working correctly. Fully supports other popular plugins such as WooCommerce and WordPress SEO (for a list of all compatible plugins, click here). Powerful translation management allows for a team of translators to work together on one site. Integrated professional translation (optional, paid feature). Ongoing and professional user support of a premium plugin. Complex architecture: the plugin needs to hook and filter many WordPress functions in order to return the required language. qTranslate is the most popular free plugin for WordPress multi-language capabilities. Unlike WPML, qTranslate places all content in the same post. Different languages are marked off by meta tags which are first processed when content is displayed so that only the requested language appears. The greatest feature of qTranslate, and the reason why it’s so popular, is the simplicity of its interface. It’s possible to edit content for one post in several languages side by side without having to go back and forth between different post versions. It’s as easy as switching between the visual and html editor. It has comfortable side-by-side editing for posts and pages. There are no additional tables and fewer things to modify within WordPress, thus less things to break. Translation of peripheral content, such as menus and widgets, has to be done manually by inserting language tags. Without installing extra plugins, no individual URLs can be set for each language. Free plugin, therefore support can be lacking and new versions slow to arrive. Services such as Google and Bing offer automatic translation into a host of languages. Transposh is a free plugin that will run your content through their machines on user request. The results will then be displayed on your WordPress site. This allows you to have your site translated dynamically, instead of adding several language versions of the site yourself. The plugin translates all available content on the website, including widget titles and comments. What’s special about Transposh is that it allows users to edit and improve translated content. The changes are saved for future reference. Alternative solutions also offer machine translations, however, without the possibility to improve upon the raw material. Installation is simple and the plugin automatically translates all available content. Editing is easy and can even be done collaboratively. Permission to edit can be given based on user roles. Machine translations are often not satisfactory and demand heavy editing. Changes in the original content might break the translation. For this method, a separate website is created for each language you want to offer your visitors which are tied together in a multisite installation. The fact that WordPress is by default offered in a variety of translations makes creating separate installs in different languages a cinch. Multilingual Press allows you to connect unlimited language alternatives. In order for this to work, all sites need to run the same theme and plugin. Be aware that the multisite aspect adds a layer of complexity which might not be suitable for inexperienced WordPress users. Each site is a regular WordPress install and therefore continues to work on its own even when the plugin is turned off. Language alternatives can have their own URLs and link structure. A good knowledge of server administration is required. Running multiple sites creates higher needs for management. WordPress plugins can provide great options for easily connecting with customers and clients in their own languages. While the premium plugin mentioned in the article might be the most popular solution, there’s also a range of quality alternatives for free—especially qTranslate. It’s a favorite among the WordPress community. Machine translations can be an effective and quick translation tool if you merely want to help your visitors navigate the site more, but they’re probably not as suitable for content-centric websites—although Transposh is a really good plugin. A multisite solution offers one of the most robust ways, however, the added management effort might not be for everyone. Which solution is most suitable for you greatly depends on your goals and requirements. Just keep in mind that it might take a bit of trial-and-error until you find the best one for you. Which translation plugin do you use? 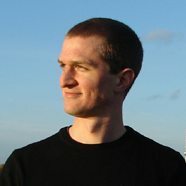 Nick Schäferhoff is an entrepreneur and writer/blogger from Germany. He learned WordPress when he needed a website for his first business venture and instantly fell in love. He is passionate about health, productivity, and continuous learning, which he writes about on his lifestyle blog. When not building websites, he likes to travel the world, experience other cultures, and learn new languages.